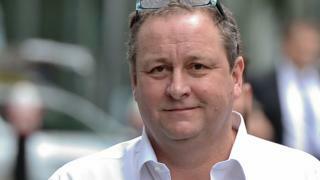 Mr Ashley said he was disappointed some landlords refused “to be reasonable”. A fourth store in Bath is also at risk of closure as the businessman negotiates with Bath City Council, the outlet’s landlord, over new rental terms. That prompted the British Property Federation landlords’ group to accuse the new owner of crying “unfair in the media when it doesn’t get want it wants”. 'Fat cat Thursday' as top bosses pay overtakes UK workers.